Abraham Lincoln is a very popular president among critics as well as the general public. In Surveys of scholars conducted since 1940, he has consistently ranked among the top 3, most often at #1. Of all the presidential ranking polls conducted since 1948, Lincoln has been rated at the very top in the majority of polls. We look at why he is so popular by studying his 10 major accomplishments. On two occasions, the boat on which Lincoln was travelling got stuck up on obstructions. This prompted Lincoln to think about how to lift vessels over river obstructions and shoals. He thought of a system which could be inflated when necessary to help a stuck ship over obstacles. Lincoln’s invention, when activated, would inflate the air chambers at the bottom of the vessel, thus raising it above the water surface. Patent 6469 was awarded to Abraham Lincoln on May 22, 1849. 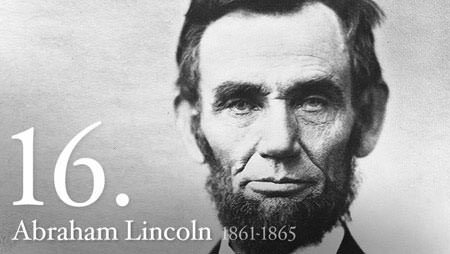 On November 6, 1860, Lincoln was elected the 16th president of the United States. Although, he won only two of 996 counties in all the Southern states, he received around 500,000 more votes than his nearest rival, the Democrat Stephen A. Douglas. Lincoln served as President from March 1861 until his assassination in April 1865. 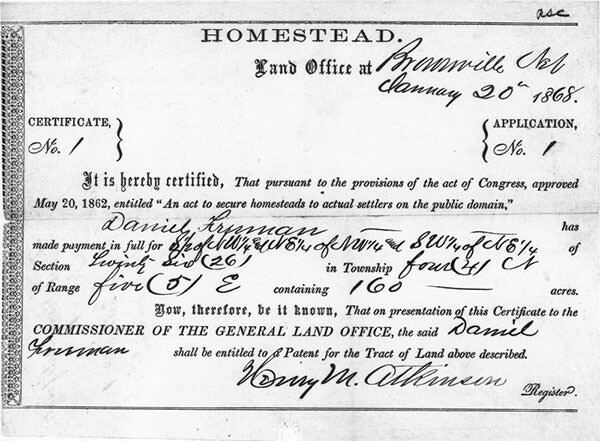 The Homestead Act of 1862 was passed in Lincoln’s presidency. It gave the applicant ownership of land at little or no cost. Anyone who had never taken up arms against the U.S. government (including freed slaves and women), was 21 years or older, or the head of a family, could file an application to claim a federal land grant. The occupant had to reside on the land for five years, and show evidence of having made improvements. 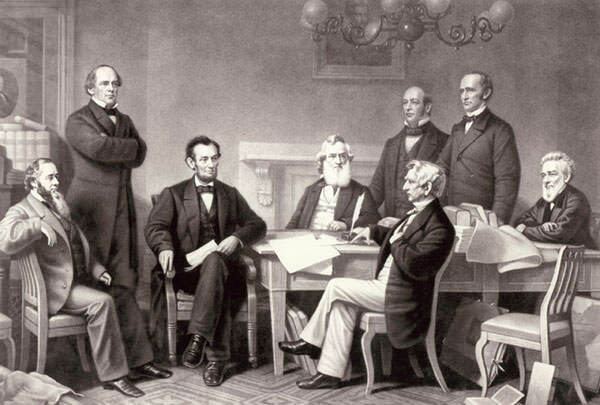 On May 15, 1862, Abraham Lincoln established the independent Department of Agriculture. It was to be headed by a Commissioner without Cabinet status and Lincoln called it the ‘people’s department’. To date the USDA remains responsible for developing and executing federal government policy on farming, agriculture, forestry, and food. 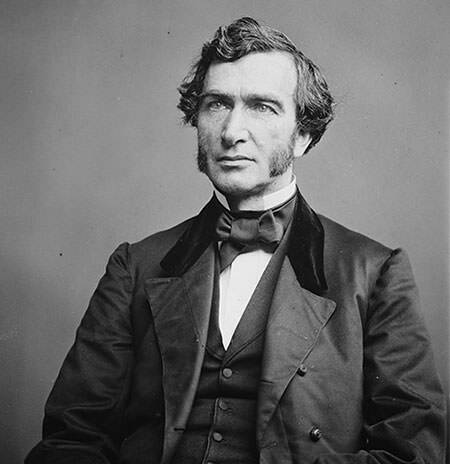 On July 2, 1862, the Morrill Land-Grant Act was signed into legislation by Abraham Lincoln. The Act allowed for the creation of land-grant colleges on the condition that the proposed institutions would teach military tactics as well as engineering and agriculture. The Act led to the creation of numerous universities and colleges which went on to become some of the best in US. On July 1, 1862, Lincoln signed the Revenue Act of 1862. 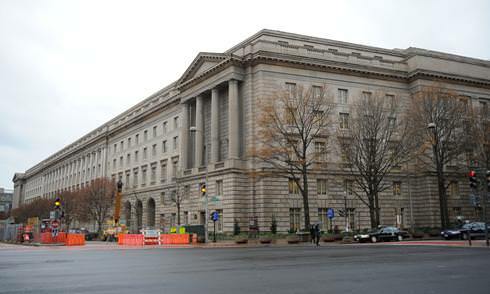 It established the Office of the Commissioner of Internal Revenue which became the IRS later. It also introduced a system where taxpayers were separated into multiple categories according to their incomes and taxed accordingly. This progressive nature of income tax remains to this day. On January 1, 1863, Lincoln issued the Emancipation Proclamation which started the procedure for freeing the slaves in America. The proclamation, which was issued during the American Civil War, allowed black soldiers to fight for the Union against the Confederacy. It was also a precursor of the Thirteenth Amendment, which made slavery and indentured servitude illegal in the United States. Lincoln couldn’t see the enactment of the Amendment in December 1865, as he was assassinated in April. In 1863, the National Banking Act was signed into law by Abraham Lincoln. It created the United States National Banking System providing a strong financial network to the country. It also established a national currency. The legacy of the Act is its impact on the national banking system as it stands today and its support of a uniform U.S. banking policy. Apart from banks, Lincoln helped the economy flourish through canals, railroads, factories etc. 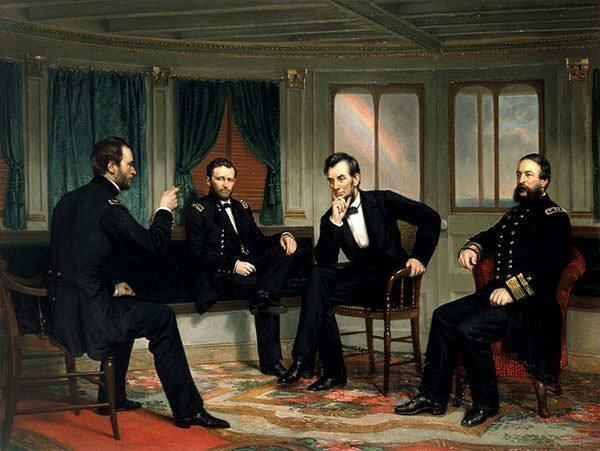 Lincoln had to face extraordinary pressures during the Civil War: huge casualties on the battlefield, generals who were not ready to fight, opposition in North from groups like the Copperheads or Peace Democrats and assassination threats. Despite all this, Lincoln continued the fight to preserve the Union. Confederate general Robert E Lee surrendered on April 9, 1865. Six days later Lincoln was assassinated. thank you for this amazing website that gave me some answers to my questions to my eulogy. This helped very much when i needed to know what abraham lincoln did in his time on the planet. ya i like it a lot too. How did this help with a science project!?! It was really good. It helped me get a whole 77 word paragraph for my Literature Report on Abraham Lincoln. Great work!!!!!!!!!!!!!!!!!!!!!!!!! I love facts about Abraham Lincoln! So did I! So helpful!!! It helped me with my Literature Assignments. I love dogs, horses, guinea pigs, macaws, falcons, otters, lemurs and AUSTRALIA ZOO!!!!!!!!!!!!!!!!!!!!!!!!!!!! he died on 1865 , u dumb ?? HHHHHHHHHHHHHHHHHHEEEEEEEEEEEEEEEEEEEEEEEEEELLLLLLLLLLLLLLLLLLLLLLLLLLLLLLLLLLLLLLLLLLLLLLLLLLLOOOOOOOOOOOOOOOOOOOOOOOOOOOOOOO???????????? He was the greatest president. This is awesome information! Thanks for the help with my 7th grade president biographies. I am using this for a project! Hope this stuff is true. This helped a lot! peace brossss! Thanks this really helped with homework. This was really helpful. THANKS!!! how can i cite this? Unfortunately I don’t remember the sources I used for the article. However, if you search for the points in the article you will definitely find the sites/magazines from which the points have been picked. Hope that helps.